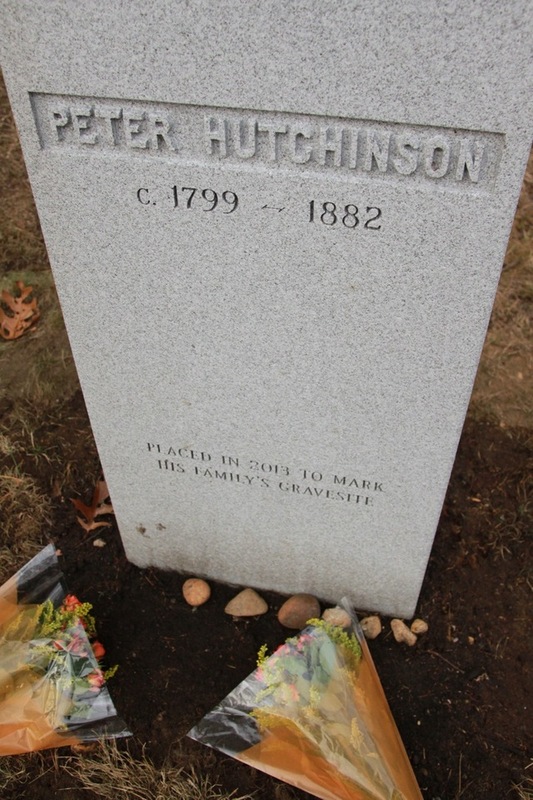 Peter Hutchinson (1799/1880 – 1882) was the last African American owner of the Robbins house and farm, and was called “the ablest common laborer I have ever known” by one of his townsmen. 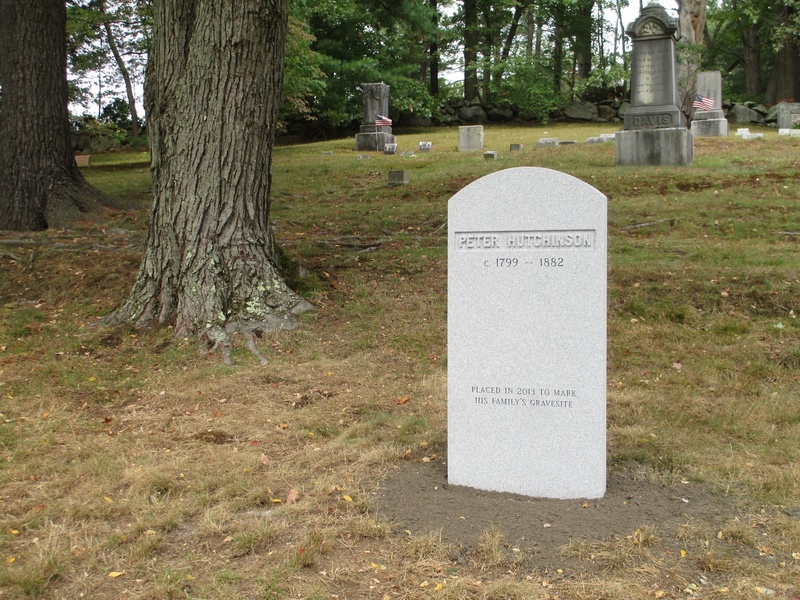 Emerson’s poems “Peter’s Field” and “Dirge” were set on Peter Hutchinson’s farm overlooking Great Meadows. 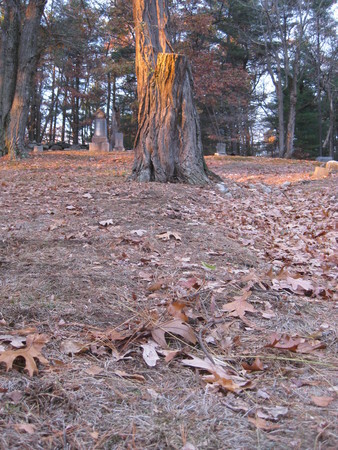 Thoreau expressed respect for Peter Hutchinson’s knowledge of Concord’s woods, fields, and wildlife throughout his journals. 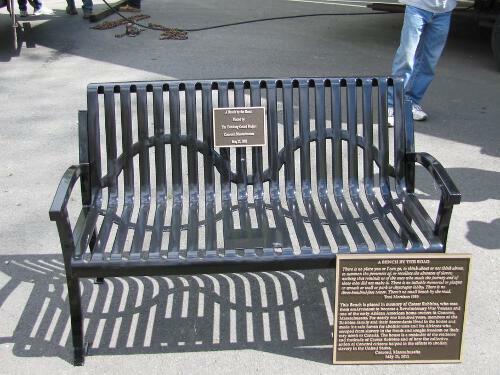 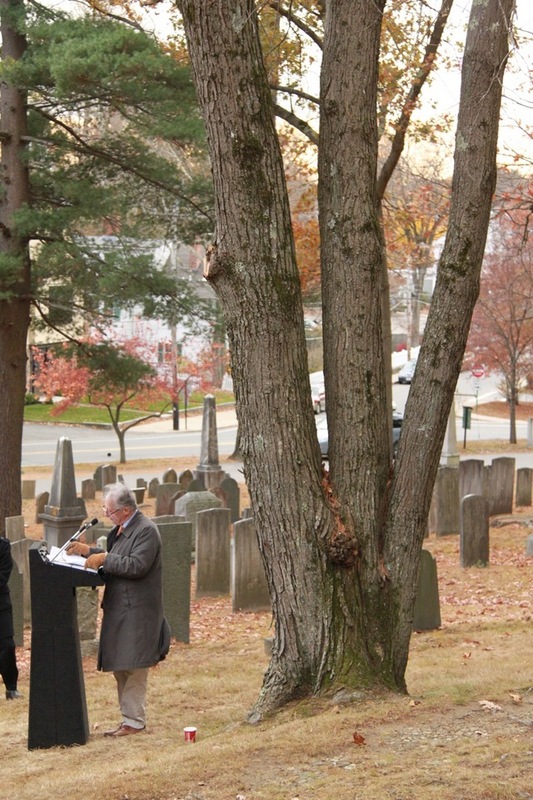 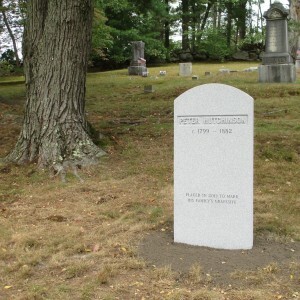 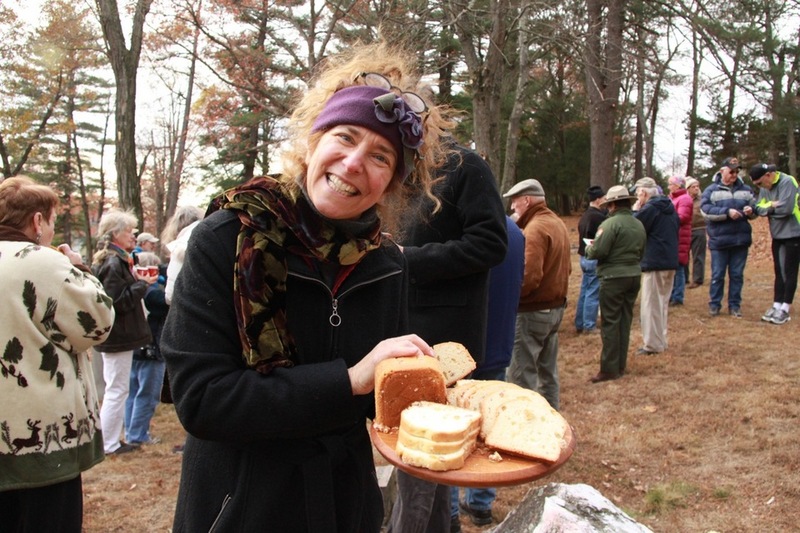 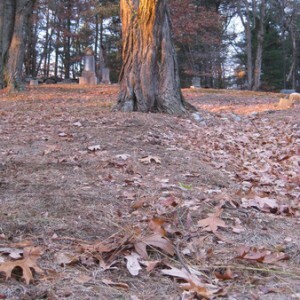 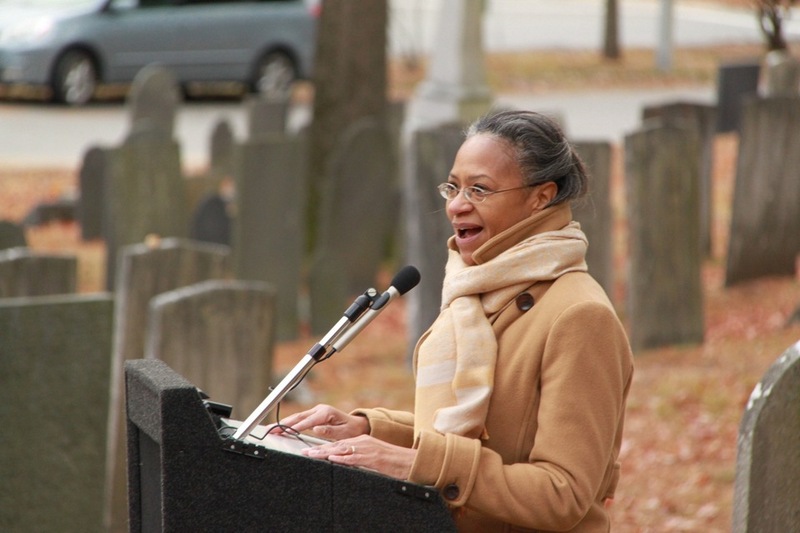 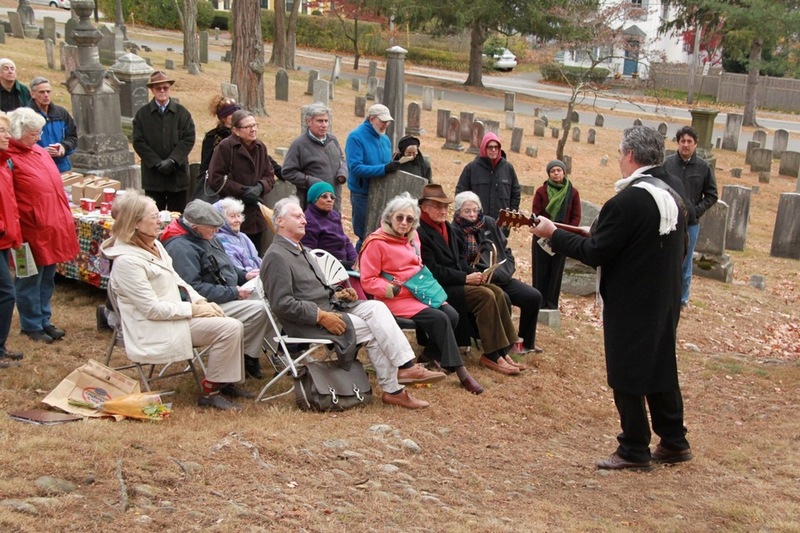 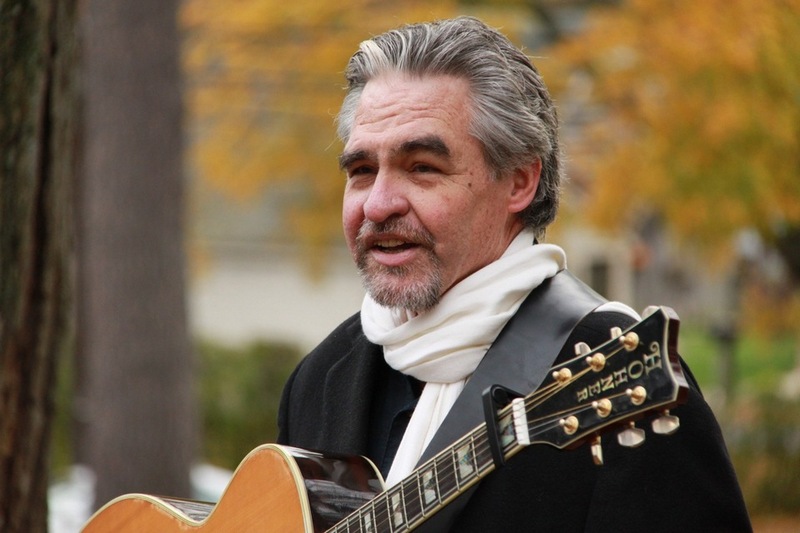 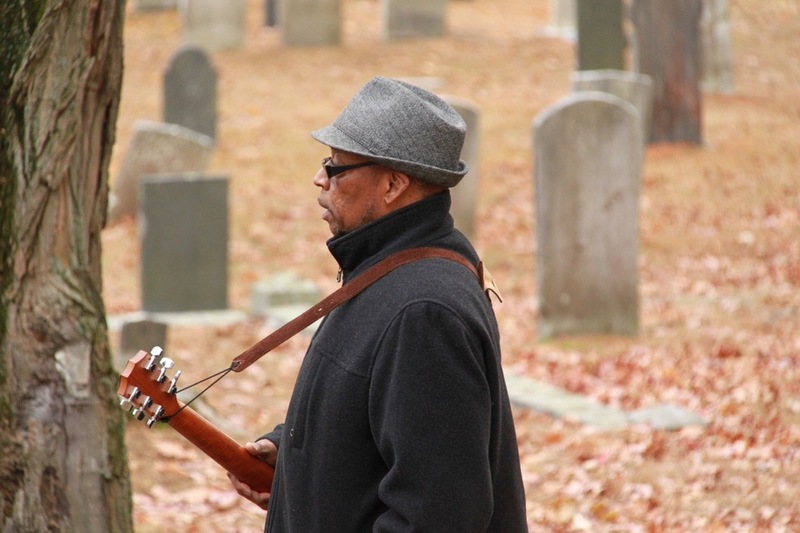 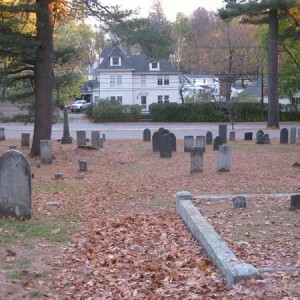 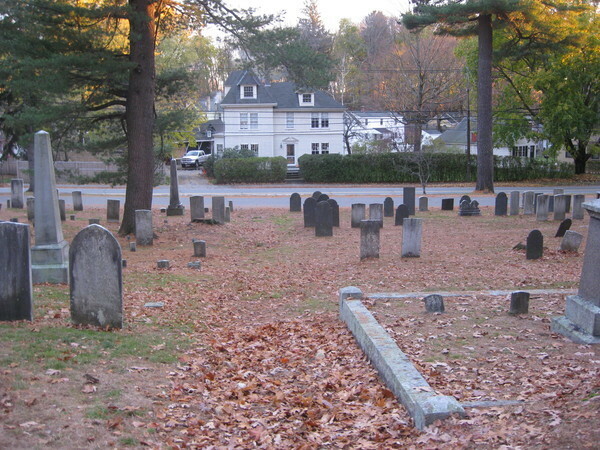 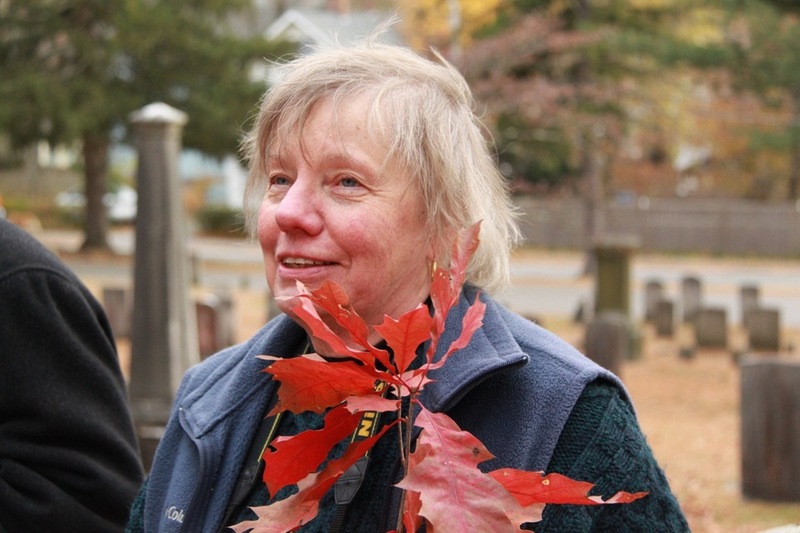 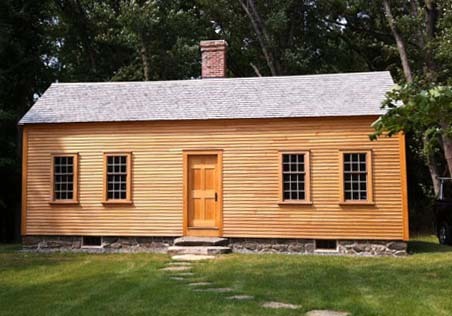 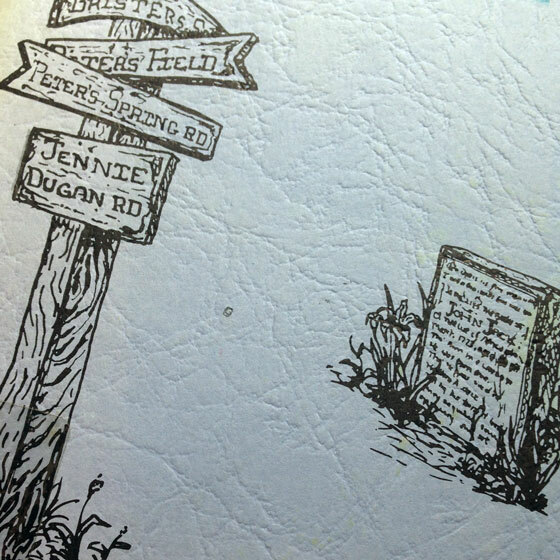 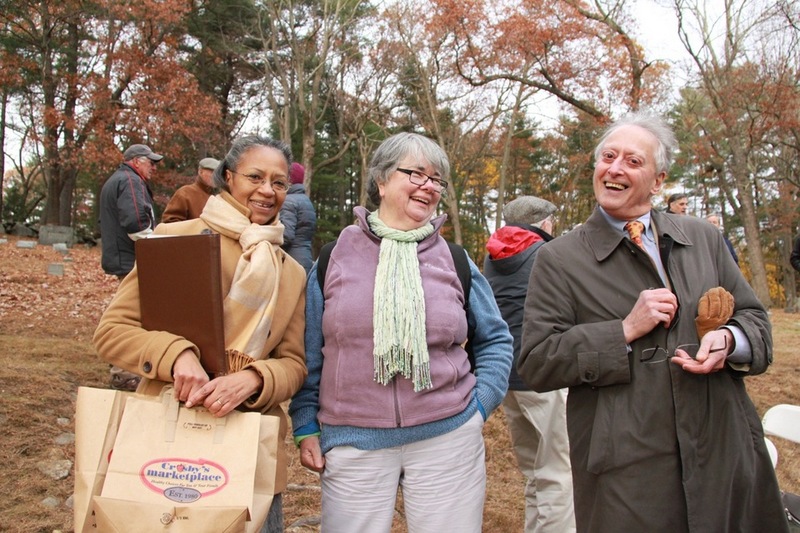 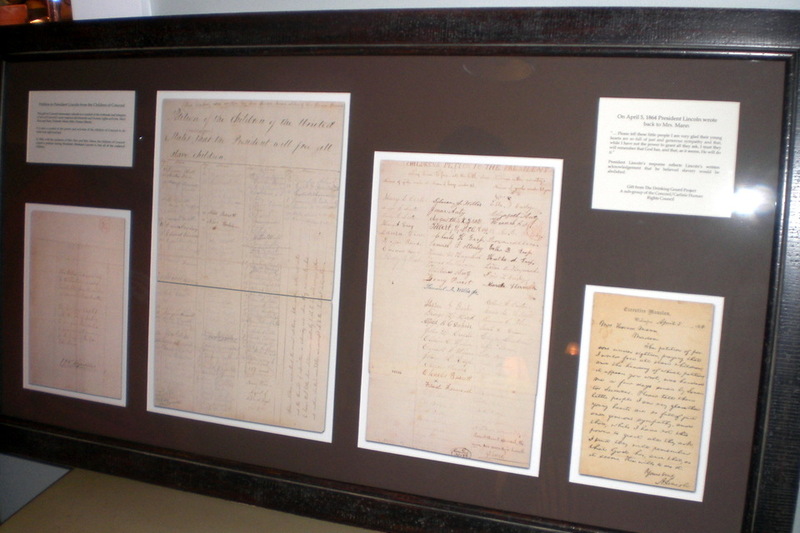 In 2013, the Robbins House and the Friends of Sleepy Hollow provided a marker for Peter Hutchinson and his family at Sleepy Hollow Cemetery, Concord MA. 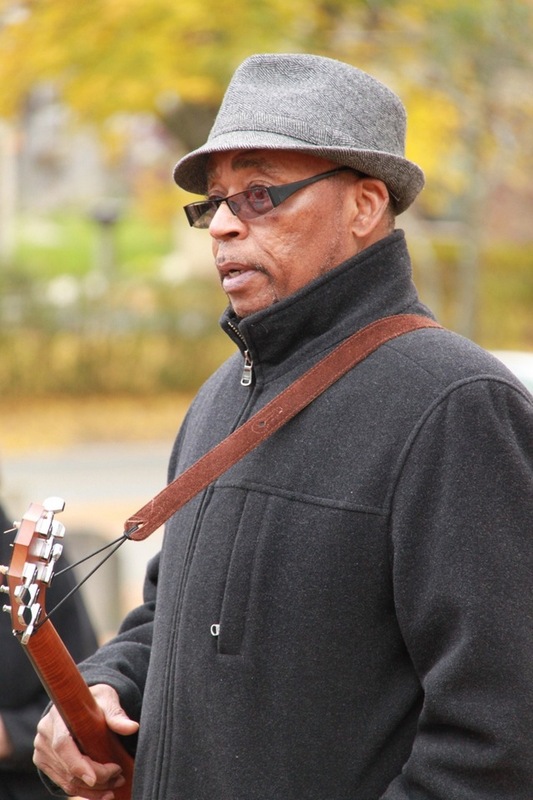 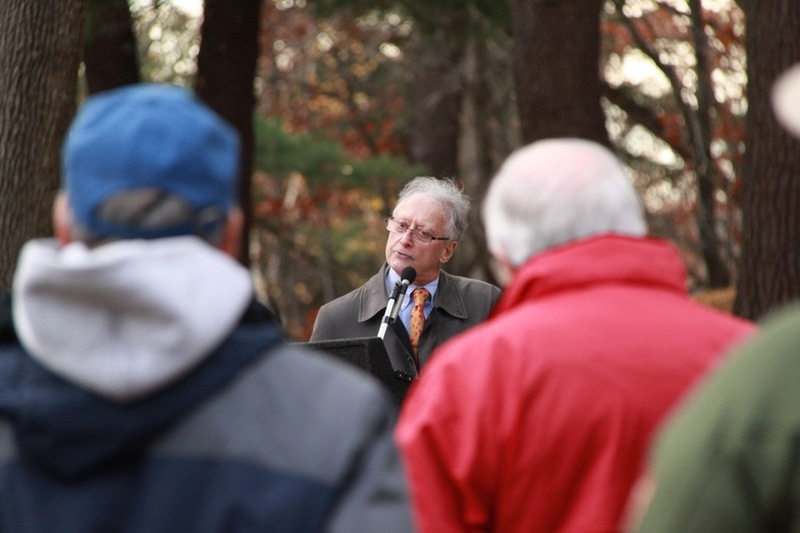 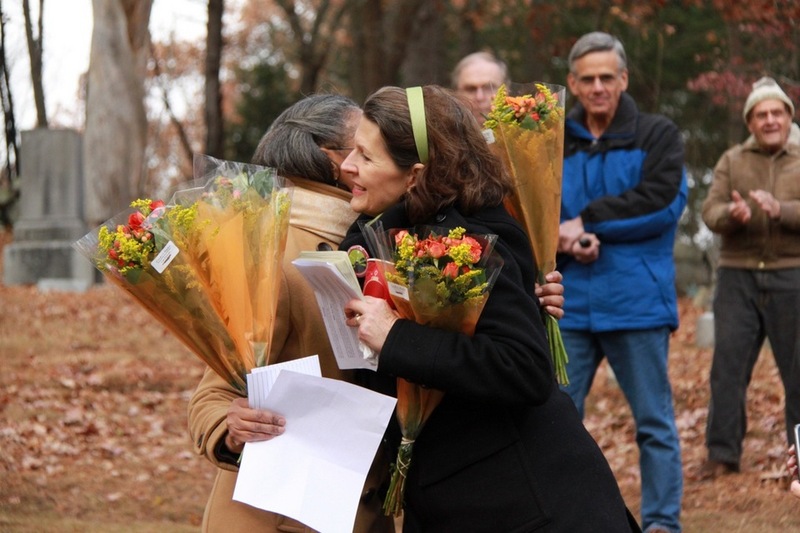 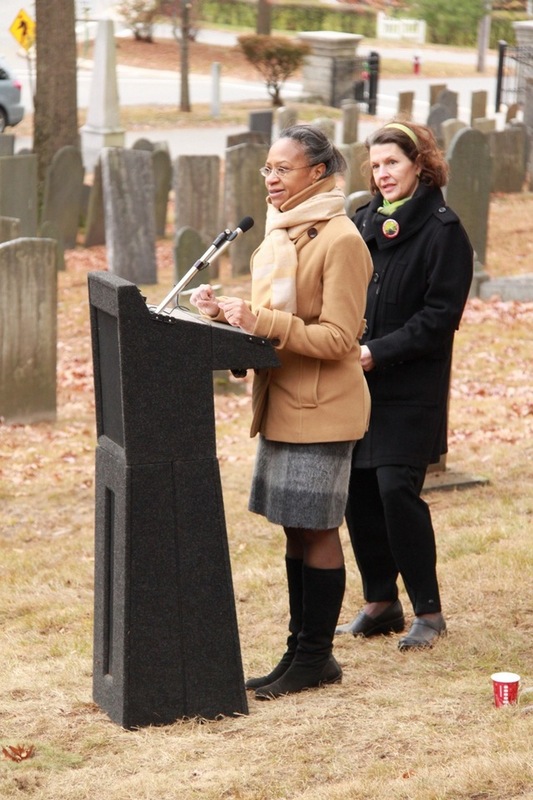 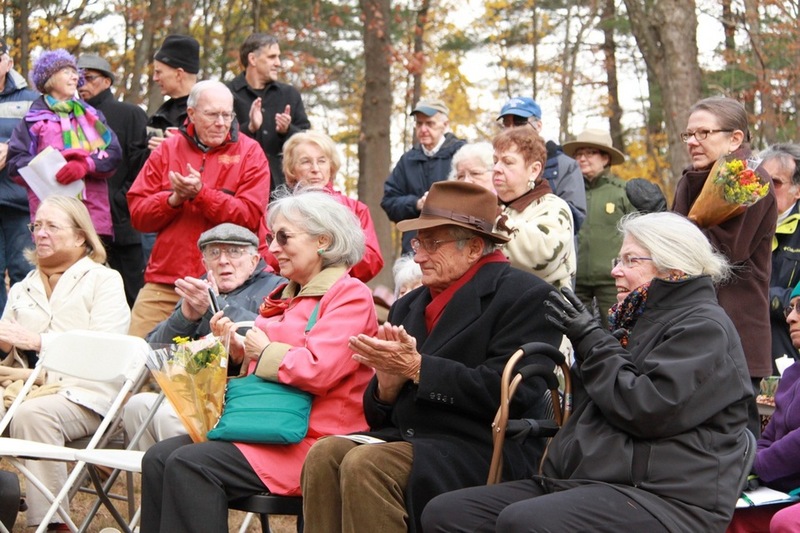 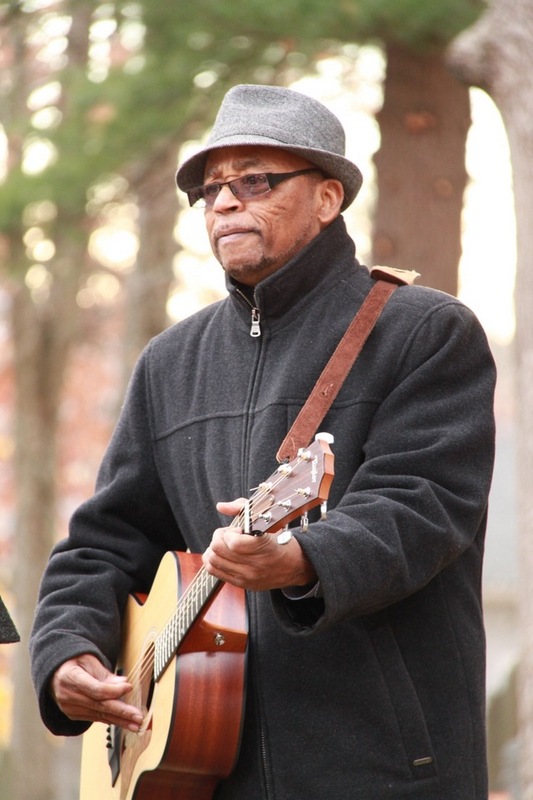 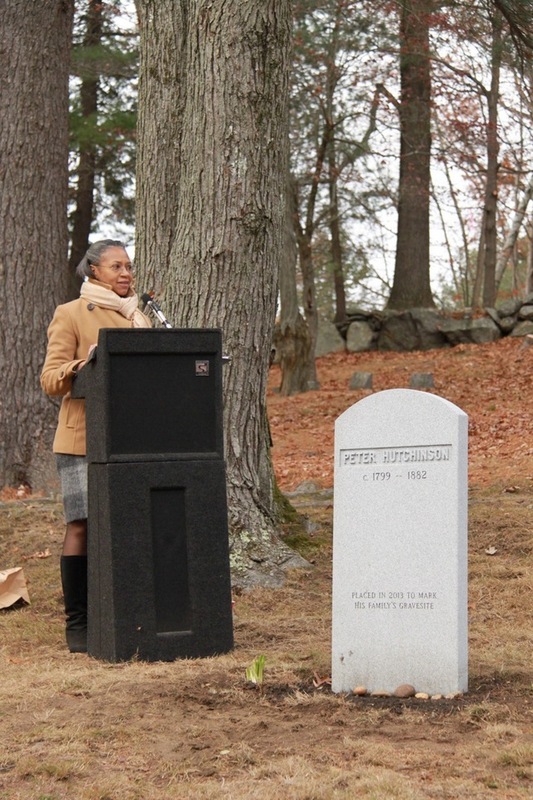 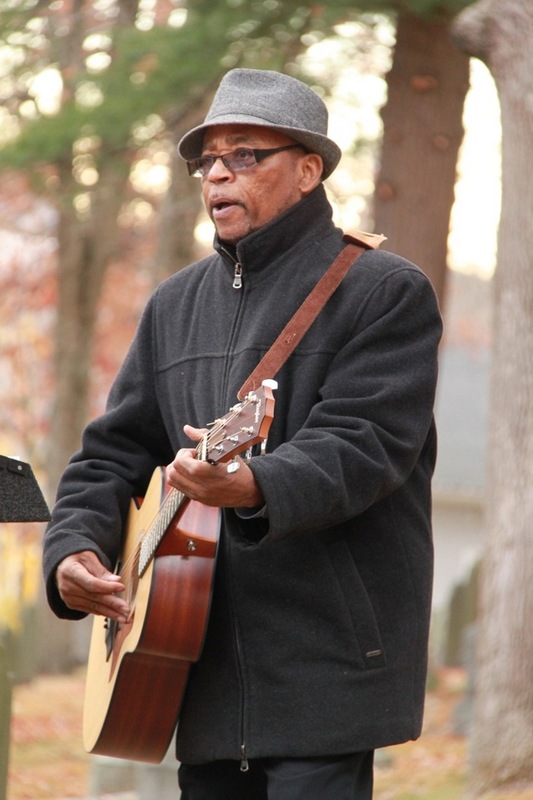 The dedication ceremony for the Peter Hutchinson family headstone took place on Saturday, November 9th, 2013 in Sleepy Hollow Cemetery, Concord. 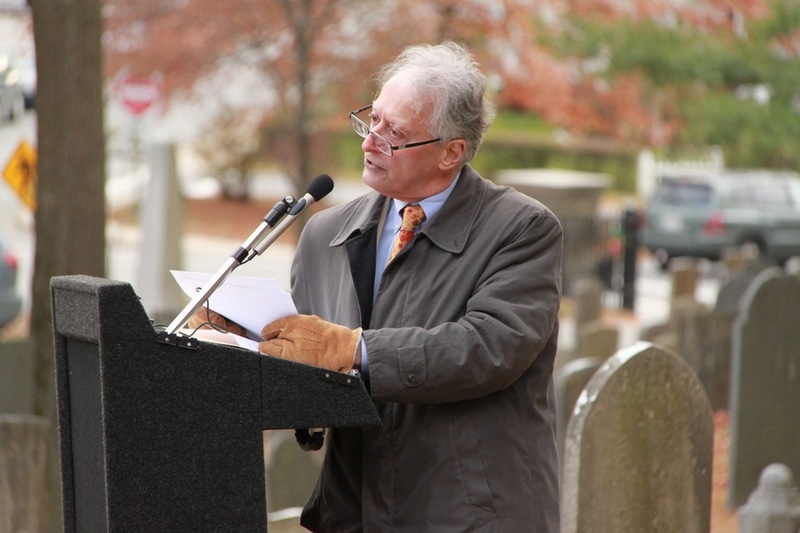 Our featured speakers were Robert A. 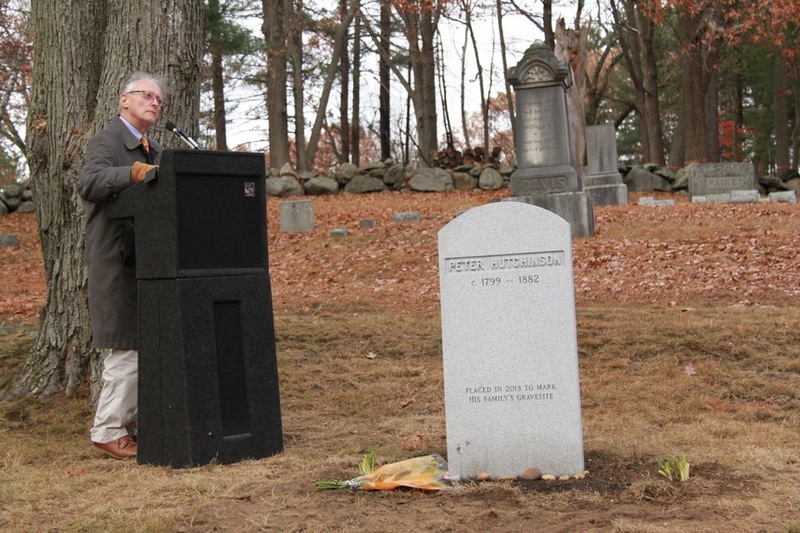 Gross, Professor of Early American History, University of Connecticut, and The Honorable Milton Wright. 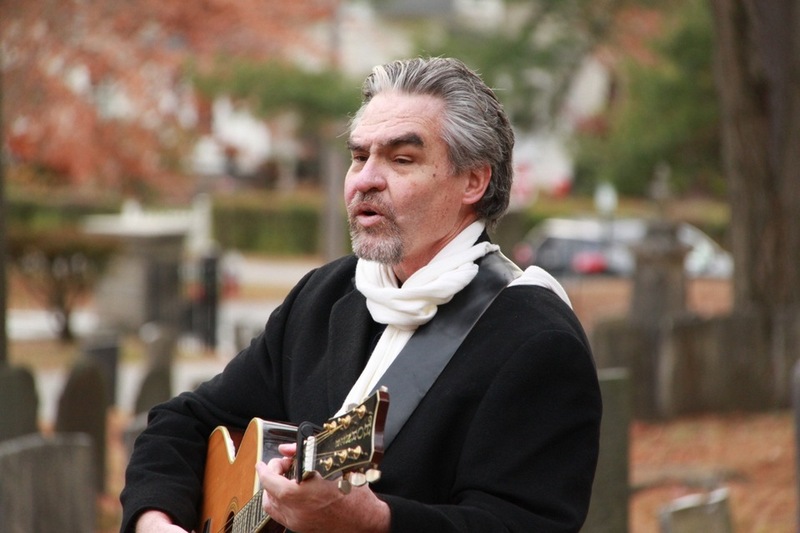 Dillon Bustin performed 19th-century spirituals. 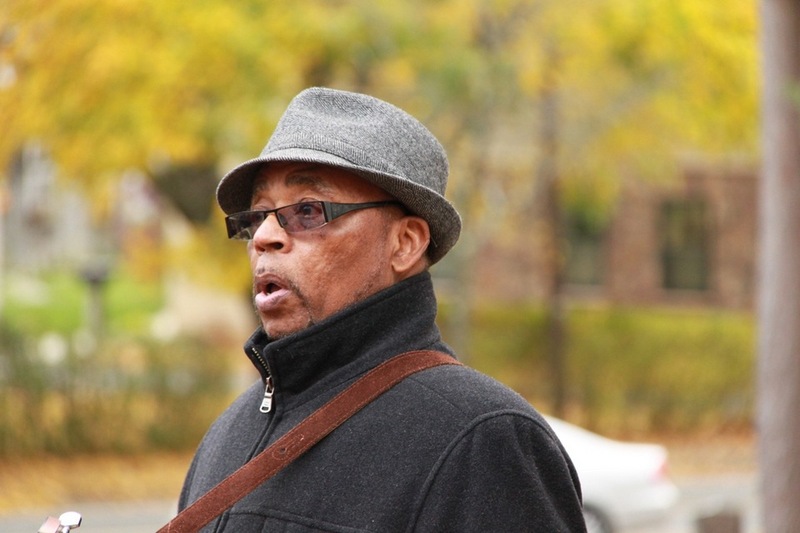 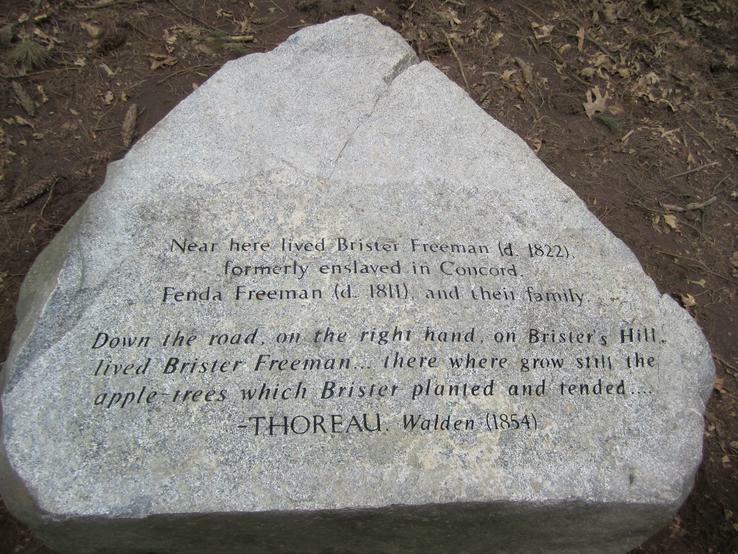 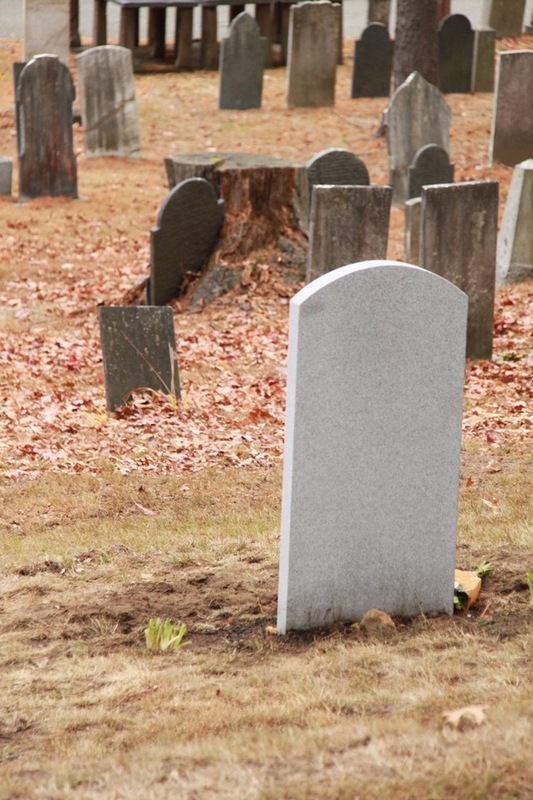 Brister Freeman’s burial site is neither marked nor known. 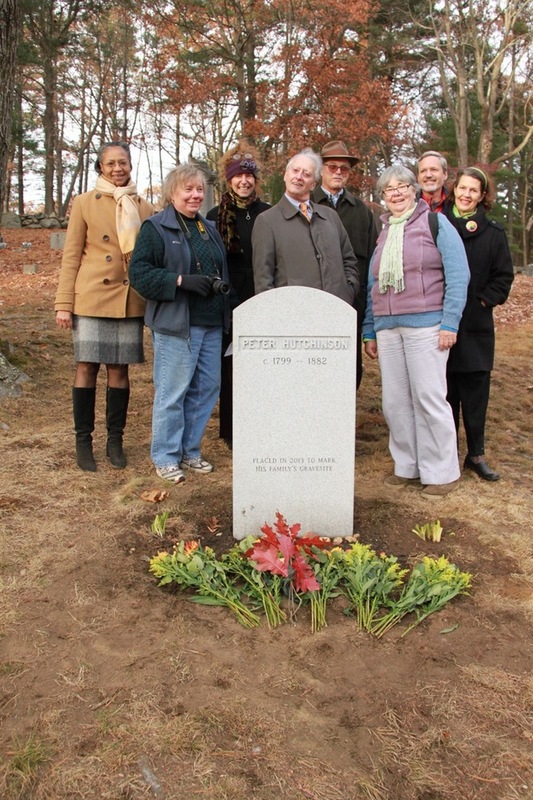 In commemoration of his life, The Robbins House placed a boulder marking the Freeman Family home site in 2011. 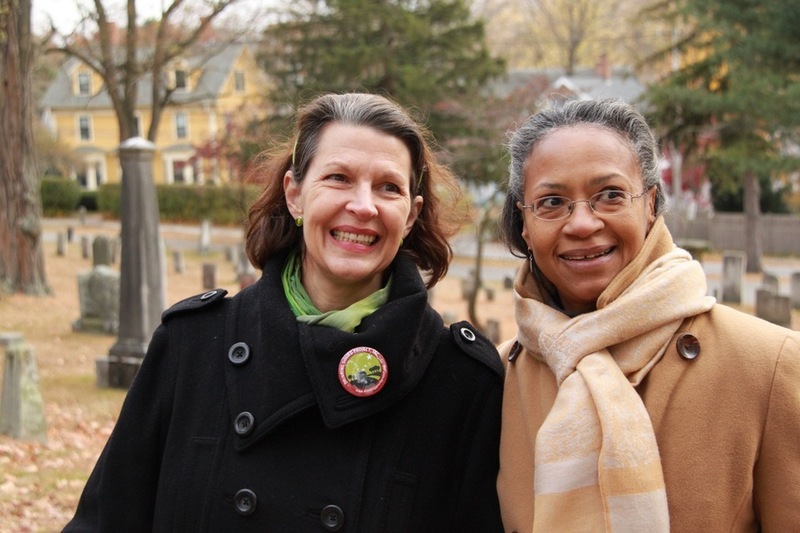 Concord: Its Black History 1636-1860, was written Barbara K. Elliott and Janet W. Jones of the Concord Public Schools in 1976. 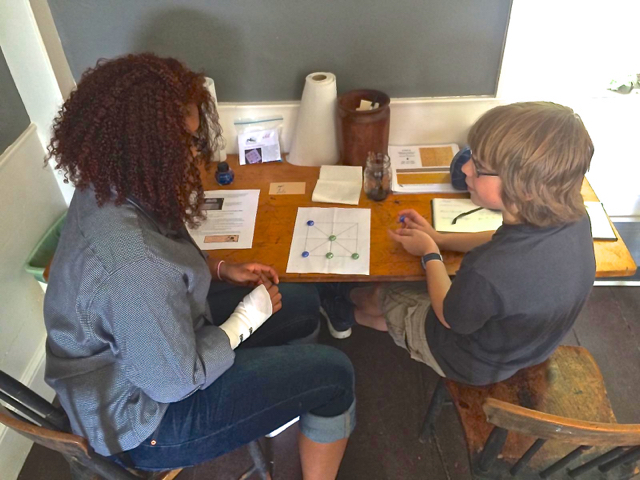 We plan to update and rewrite this as an online teaching tool and resource.